Recently, I was at an outdoor show and it started to rain and with that rain came a little wind, so you know what happened, right? One of the my larger paintings fell over and hit the ground. When I inspected the piece, I discovered a nick/ding on the edge of the painting…ouch! A well meaning friend said “that’s teeny tiny, you can just paint over that.” But the fact is, I can’t, it was chipped off down to the gesso and there’s about 7 layers of paint that made up that sky color. One was using old blankets and large beach towels to wrap around his art. One was using fabric sleeves he had sewn to put his art in. One was using bubble wrap sleeves for his large photo prints. I researched the bubble wrap sleeves early last year, and they can be pretty costly if you’re on a tight budget, so those were out of the picture for me. I REALLY liked the fabric sleeves that the one artist made, but I can barely sew on buttons and I don’t own a sewing machine. The old blankets and big towels sounded ok, but they weren’t secured, so they could fall off easily during transit and there are potentially high costs involved. 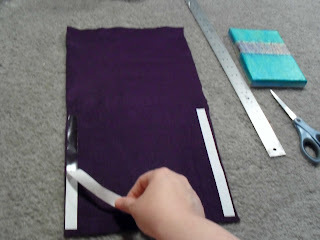 Measure and cut the fabric to the desired size - For a 5×7 painting, I added a few inches to the sides to make sure that there was plenty of room for the painting to fit into the sleeve. Apply the Heat and Bond tape to 2 sides and iron them onto the fabric, then let it sit and cool for about 2-3 minutes before removing the tape backing. 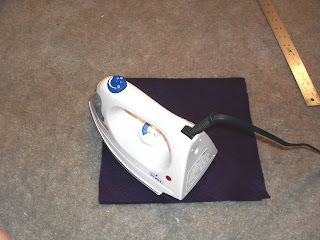 Fold the fabric over and line up the edges, iron the sides where the Heat and Bond tape is. Let the painting sleeve cool again and then you’re all done!! If you wanted to completely close the sleeve, you can: Tape it shut from the outside with masking tape OR you could put in a zipper by Heat & Bond or sewing. 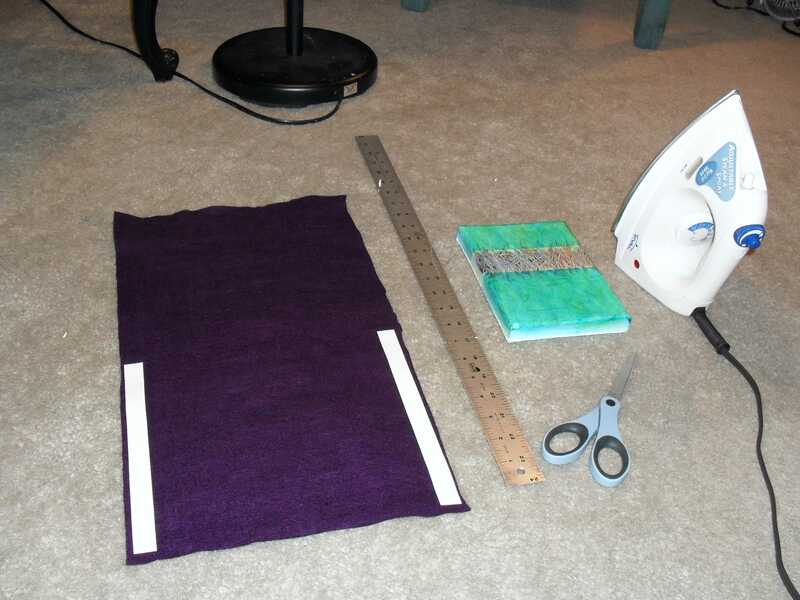 You can also make your sleeves out of fleece instead of felt. Or use towels or blankets from a thrift store, which will help you to keep costs down and be a little GREEN. So far, I have made 19 small art sleeves and I plan to make larger ones in the next month for the big paintings. Going forward, if a painting isn’t hanging on a wall, I will have it in a sleeve, because I can’t afford for paintings to get scuffed up and damaged. Excellent idea to use the bonding tape. 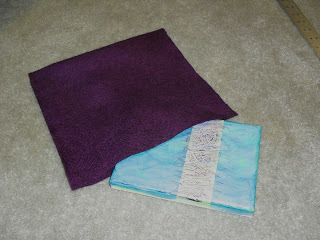 For another fabric idea...there are times big box stores put their blankets on sale. I have purchased king sized blankets for less than $10. The fabric is perfect for this use, and sometimes you can snag some pretty cool prints so your artwork travels in style. When you SELL the painting does the fabric sleeve go with it? Awesome! I asked my mom to sew me something similar, and she gave me her sewing machine. That didn't help! 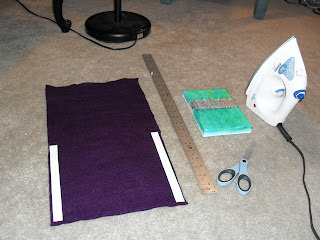 I like this no sew method, I use the towel method and I hate it.